As you may have noticed, we've seen a flurry of news stories coming out of Nintendo HQ in the past few days. We started with bad news, that Nintendo expects to make a loss in the current financial year, though the news that Wii U will launch in time for Christmas 2012 helped ease the pain. Of course, soon we might have to stop calling it Wii U, due to rumours that Nintendo is considering alternative names. More news has followed in relation to upcoming features and releases, as Nintendo aims to demonstrate that the latest financial losses are a mere blip. The confirmation of a new 2D Super Mario title for 3DS this fiscal year was perhaps surprising, while announcements such as the planned Nintendo Network and user communication, online user accounts for Wii U and consideration of retail downloads on 3DS and Wii U are arguably low-key, as these are functions and features already essential to modern gaming: no particular innovation in these proposals. 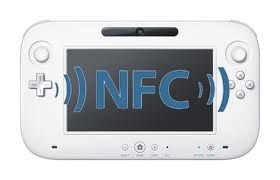 By installing this functionality, it will become possible to create cards and figurines that can electronically read and write data via noncontact NFC and to expand the new play format in the video game world. Adoption of this functionality will enable various other possibilities such as using it as a means of making micropayments. We appreciate that this may not blow your socks off at the moment, but let’s look at some practical applications that could make NFC into an exciting new feature. This article is speculative, however, and doesn't necessarily represent actual software in the works at Nintendo. The next entry in the Super Smash Bros. series is ages away, but we won’t let that spoil our fun and speculation. At its most basic level, the NFC technology could allow Nintendo to sell cards or figurines with extra characters: a tactile form of downloadable content (DLC). Let’s look beyond that, though. When Super Smash Bros. for Wii U and 3DS was announced at E3, Iwata touched briefly on compatibility between the two games, though no more details were given. Whether direct play between the two consoles will be possible is unclear, mainly due to the fact that Wii U will be significantly more powerful than the handheld, making Playstation 3/Vita-style game interactions a challenging goal. There are other ways, however, for the devices to share the game experience. Imagine a Smash Bros. app with a similar set up to Pokédex 3D, but rather than being just a simple reference tool it could also initiate AR card battles. The Wii U title, meanwhile, could include NFC cards with bonus content and new items for character customisation; a character creation mode, either using Miis or more ambitious tools, would be displayed on the Wii U controller. Swipe a card and your custom character is saved to the card, with a QR code on-screen for the 3DS to scan, transporting your new fighter into the portable. Though sharing data with friends can be done through online functionality, the cards could be used for fan events and competitions, where a simple swipe of the card at a venue gives you full use of your own customised fighter. There’s also potential for the 3DS app to enhance your brawler through StreetPass or Play Coins, and then generate a new QR code to scan with the Wii U controller’s camera, updating the main game. These ideas could be used in any number of game styles or franchises. The potential to store data on a card for ready availability on other consoles, interaction with a 3DS app and updates from 3DS back onto the Wii U through continually updated QR codes is ambitious, but certainly possible. This can all be done without using NFC, of course, but it adds an extra option for those with inconsistent internet connections. It could also encourage a new era of local offline events and competitions, bringing gamers back into the same room rather than talking over a headset. Wii U As a Definitive eReader? If you take the concept of Skylanders: Spyro’s Adventure and apply it to an eBook, you can combine reading and playing with toys to create something new. There are already rumours of the Wii U including smartphone-style apps, with one of these potentially being e-reading software: this could be used for books, magazines, newspapers and comics, with the controller screen being more than suitable for the job. Once again for people with limited or unreliable internet connections, there’s potential for a swipe card to replace online shopping. With enough retailers on board, you could drop into a shop, buy a magazine or book with your card and access it immediately when you get home. Looking beyond that, NFC figurines could add a new dynamic to children’s eBooks, as an example. If you take the concept of Skylanders: Spyro’s Adventure and apply it to an eBook, it’s possible for the act of reading and playing with toys to be combined. Using a figurine or play card with a programmed story on an eReader could provide a fun experience for young children, with events or alternate storylines determined by actions. The same principles could apply to big kids as well, with eReader games that incorporate text, video and audio that react to external NFC items. Not needed for Wii U? Finally, the problem of eShop card availability could be banished once and for all. If you don’t want to pay online using a credit card, but don’t fancy trekking around shops in the hope that some will actually stock eShop cards, an NFC swipe card could be the answer. If deals are struck with retailers, it could be as easy as going into a store, handing over the card with cold, hard cash and having the amount credited to your account. It’s as simple as that, and surely a must if Nintendo is serious about boosting its online services. So while the announcement of Near Field Communication in the Wii U controller may have seemed relatively minor, it could potentially change the way we interact and use the console. What do you think? How can it enhance gameplay possibilities? Could it be used in apps such as an eReader, or simply as an easy and quick way to pay for digital content? Feel free to speculate wildly — as we have — in the comments below. Sounds really good! I'm looking forward already! Wii U seems to bulky to be considered a serious e-reader. 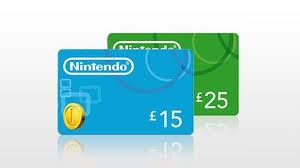 also i was thinking that E-shop cards would still exist but come with Nrc chips embedded so at the add funds process all you have to do would be tap your card or phone onto the wii u recover to get money on your account. Those are some good ideas you posed. I never realized how easy that would make ebooks. Cool. Maybe, for the Next smash bros, there could be trading cards you buy at the store, and you can improve the weaknesses of the fighter, such as wolf will get more speed, but sonic would get more attack? Or you unlock DLC fighters that way and if you get the same card over again you spin a wheel to get a new one, and you can link it with the 3DS version and use play coins to improve the fighters! So,I can pay games and apps with this NFC card but where do they take the money if I don't have a bank account or something like that? i think the Wii U will be amazing and blow all competition out of the water. 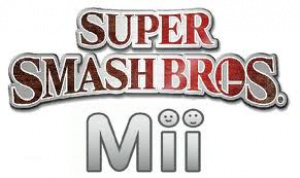 It's Super Smash Bros. Mii! Imagine the Brooklyn rage fans would have it that was announced! I've always wanted a real Smash Bros trophy. It will be interesting as to how Nintendo will use this. This sounds cool, but I do fear that it'll be like a lot of Nintendo innvations, have great promise and potential but be largely ignored soon after release. The board game possibilities of the Wii U are its greatest opportunity, IMO. Motion was the way the Wii made it into every living room, but now they need to sell the idea of a perfect machine for traditional kinds of board game play with a twist. You can sell a game with a pack of special NFC cards, pass the screen around, tap them against it to initiate actions, etc. All kinds of play are possible using this technology. This isn't relly about nfc but i would love to see some sort of ar trading card game. that would be fully epic. Skylanders already use a similar technology (The character can appear in the game if you hold it slightly above the portal), so maybe, a future Skylanders game could work without a portal! Yes there's a TON and TON of possibilities for the Wii U, but all of Nintendo's have had possibilities. Many never being made possible or what people imagined. Some beyond. It's all up to Nintendo. The Wii U could be an amazing multi-media machine, but all we can do is guess and wait till E3. I'm personally still skeptical about Nintendo getting it right, especially with online. I hate to be a Debbie Downer, but for the most part, this stuff won't happen (or would be annoying if it happened). For example - do I really want a bunch of smash bros. figures laying around my house? If they're insisting on doing some sort of DLC with any game, I'd rather just download it. (I guess collectible figures are ok for, collectors, but hopefully there will be download options too). Also, I don't see using eShop cards as purchasing tools in the real world. In the world of books, there's Amazon, Barnes & Noble, and some small independents hanging on. Amazon and Barnes both have their own ereader devices and shops they want to promote (which offer a huge advantage to the WiiU tablet in that they're portable). It would be hugely time-consuming to work with enough independent book stores to make that a viable business proposition (if there even are enough of those stores left - and many rely on niche and vintage book sales anyways). Movies and music? Music, probably not. Ninty's not going to let you transfer stuff between your computer unless they're whole philosophy actually changes. There's iTunes and Amazon which you're already able to put on whatever device you want. Movies might be a more interesting proposition, ESPECIALLY if the WiiU will let you download and play 3D movies, which can be played on a compatible TV and your 3DS. Still, it seems an online shop would be a better format for selling this stuff than working deals with FYE and such that are on the way out anyways. I doubt unstable connections are even on their mind. I'm sure Japan's wired to the teeth. It's a problem in rural areas in the US that are still on dial-up or satellite (though I've had a bit of experience with satellite at my grandparent's house, and it's not terrible (though I don't know how it would perform with games). Looks like I'll be entering my pin every time I add money. Hey! No looking! I hope nintendo met work works on 3ds, for example vita on how you can use your psn from your ps3 on your vita. So I wish 3ds does same and shares all to most apps. Like I said nintendo can make their wii u console not only a compition in the console space but the controller if you can actually travel with it and actuallu be used as a tablet with and play at least eshop games on it it can compete with other tablets like ipad at the same time. Also the 3ds should have the same qualities as possible ESPECIALLY the nintendo network account linked to wii u ala psn (ps3/vita) and almost to all apps wii u gets with also better features like chat/party, video chat, invite friend to game make swapnote instant, and better apps like ebooks, facebook, skype, yahoo, youtube, twitter, google street, and apps such like these would be nintendos ipod touch/iphone competitor. P.s. Also its dumb that I cant add my own movies or videos on my 3ds, and what happened to 3d movies? Though I agree with you about offering "dlc" exclusively as physical cards or figures being a bad idea, I think your other points are somewhat unfounded. I'm personally hoping for the e-reader app on Wii U, but I doubt Nintendo would ever try to break into the industry as a new competitor. They would most likely partner with a well-established company, probably Amazon. Though Amazon is trying to support its Kindle, it would be most interested in selling its digital books to as many people as possible, hence the Kindle apps available on just about everything. It wouldn't be anything new for Nintendo to create such a partnership, as it already has deals with netflix and hulu, though the latter's not available yet. As for downloading full length movies to the Wii U, especially 3D movies, I'd say that's unlikely, mainly because of the aforementioned streaming services. Personally, I'd prefer them adding more similar services like Amazon's rentals and other channels seen on roku. The 3D movies would possibly be covered by Netflix in the future. So basically, downloaded movies, though possible, seem unnecessary, and perhaps even relatively undesirable compared to the alternative. I don't understand your point about the music being so unlikely. Nintendo played with using your music on the Wii with a few games, and has a full-blown music channel on the 3DS. With the Wii U's use of sd cards and its relatively advanced audio functionality, it would be an easy bonus feature to list on the box. Honestly, I wouldn't be surprised or unhappy with the appearance of a Pandora channel. Thank You Nintendo for being original! I look forward to another year of giving you my money! whole games on a trading card, sweet packs to buy, like buy a pack of nes or snes or gameboy games and scan them in, like e-reader but way easier. @Token_Girl My thoughts are pretty much on par with yours. I think that this is just another gimmick that will be sorely underused for the system. The most we will probably see out of this is a Skylander's style figurine set that downloads DLC into a few games and more eCards. It's not a bad thing at all, it's just what Nintendo does. Creative little gimmick add-on game's that are fun for a few hours and then you're mostly done with them until the next one rolls around. None of these ideas sound very exciting to me. I don't want to play with toys while reading, nor does loading info to a card sound ground-breaking. I doubt Nintendo will utilize this functionality very much. "do I really want a bunch of Smash Bros. figures laying around my house?" You could always have them neatly organized on a small desk. And Skylanders says hi. How is it a bad idea? It worked for Skylanders. Nrc could also be used ti carry save files around. though the cloud makes that useless. eReader or not, eShop Cards or not, i dont care. I only care about the console's stupid name 'Wii U'. Change it Nintendo, please. That last idea appeals to me. I would love a 'Nintendo Credit Card' of sorts that I can just preload with eShop money and use. Very convenient! Actually Skylanders technology was based off the technology from Guitar Hero according to someone at Activision. Wow, so it just keeps getting better... Nintendo is really amazing. What ever else Nintendo is planning, as long as they do it right it'll be awesome. the functionality described here by adding information to a QR card or whatever, sounds like it could be done using an SD card. i suppose this may be quicker since its all wireless. eh, if the tech is cheap and isn't going to make the Wii U cost anymore than why not? The examples you gave still make this sound like a useless feature to me. Just like the ir port on the 3ds. Until nintendo shows something off that uses it for more than one game I don't really care about that feature. What I do care about thought is wii u as a whole. Hopefully it will be worth the wait later this year. PRICE! What will the price be?! I know rite. How much sill the wii u cost?$400-$550 is reasonable for me. I'd laugh if they change it to Super Nintendo Entertainment System 2. Cool. Opens up many possibilities, though whether Nintendo capitalizes on any of them, is yet to be seen. E books, Nintendo has to come up with a way to make content easy to share between devices. I can understand protecting games. Come on though. Jpegs, mp3, mp4, e books. This sort of content has to be included in wiiu. You should also be able to share it. What would be the point of uploading a magazine from a shop to a wiiu and having it stuck there when I can buy a bunch of paper and read it anywhere. Thats a better name then 'Wii U'. No figures or trading cards for me. I don't want to have my house full of this crap. (Even though it isn't crap) Just work on the online, DLC, and the name. Please. I'm still having a hard time grasping all of this...my main question is, how does it work and what does it do? Cool, I just hope this is used for more than one game. Very interesting string to the 'harp' that is the Wii u, though I'm not sure I'd use all those features explained. Already have an e-reader , a kindle. okay... all that stuff is nifty.... but heres the gold mine... POKEMON CARDS ... much like the show yu-gi-oh... you place the cards on the tablet and an on screen battle happens... (even yu gi oh cards i guess would be nifty) ... Skylanders could be built in... and then I'd only have to buy the game.. and the toys... not the portal... this could be the nintendo "eReader" (not the magazine application)... remember that thing for the GBA? buy cards and new levels/powerups and all sorts of stuff for all types of games.... the idea was awesome and only failed because it was an add on... this is built in right from the start!!! this could be AWESOME! @54: you have to look at the big picture here....the use of the near field communication technology, not another e-reader device to hit the market. I'm thinking that NFC could also make controller synchronization quicker, easier and more reliable when you have multiple systems running. like, say, at a competition. ^^ Totally agree. I want to be SO BAD but until they show me something other than a tech demo, I'm not sold. Also if it ships for over 350 bucks at launch, count me out. I just want HD Nintendo games and a better online situation, not all these bells and whistles that we all already have on our smartphones and tablets. Very cool. Hopefully this will work with Google Wallet on the new phones. Nintendo is one step ahead of its competitors in technology, again. My first thought was - Good, I won't have to buy that extra stand for Skylanders now and we'll wait until next Christmas to get it. Unlike most people here, I do like the idea of little toy characters - my house has about 2 dozen 2" Pokemon laying around - and it would be great for Pokemon or Pikmin or SSB, but OUCH my wallet!! And a SSB Dex 3D is a given. On the bright side - Club Nintendo can give away toys for coins rather than shoelaces.